ah net noobs, keeping spammers in business since the advent of spam. 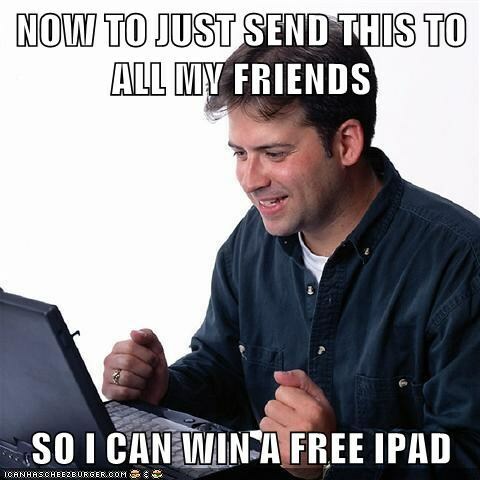 if you wants an ipad, you gots to pay. there ain't no such thing as a free lunch, especially on the internet.